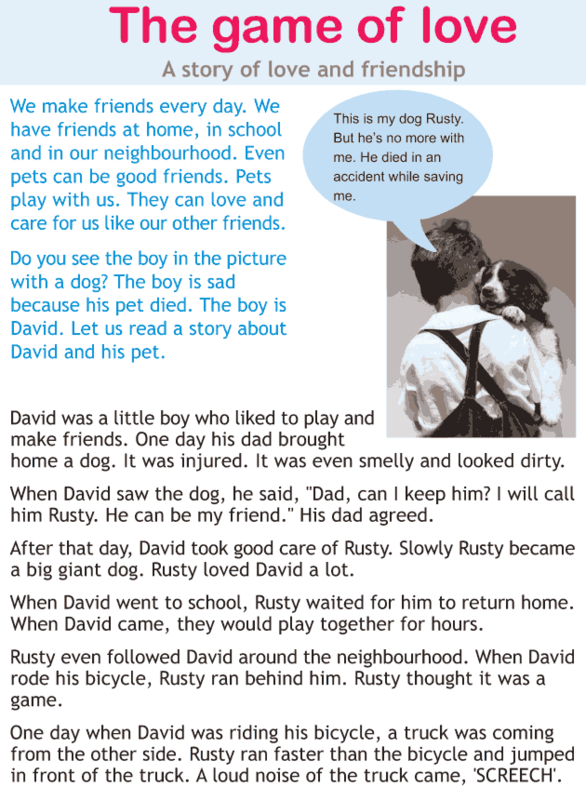 Let us read a story about David and his dog Rusty. This lesson is about the love and friendship between David and his dog. This lesson shows how Rusty sacrificed his life for his friend David. This teaches us how even pets can be true friends.